AcroYoga & Yoga Photography by Isabelle Nègre. An immersive dive into the relaxing, rejuvenating and healing elements of Thai Massage and Therapeutic Flying. The Lunar Asana sequence will teach your body basic mechanics with a focus on cultivating self-love, to prepare you for the dance of Thai massage. These techniques are then translated into Therapeutic Flying, using the gravity to amplify the healing flow of prana (life force) energy. Everyone has the opportunity to base and fly, give and receive. 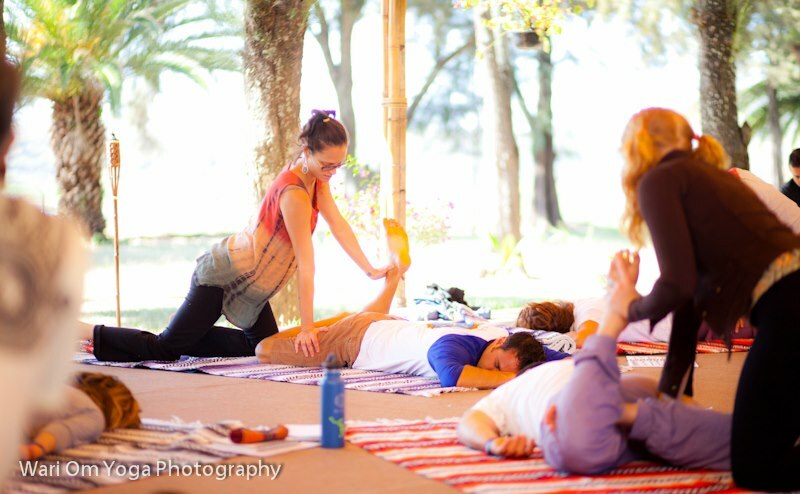 This training offers invaluable tools for yoga teachers, massage therapists, and energy workers who wish to develop a new dimension of healing touch for students or clients. All/Open Levels. Sat., Oct. 15, 10 - 2p.m. and 3:30 - 7:30p.m. Sun., Oct. 16, 10 - 2p.m. and 3:30 - 7:30p.m. Mon., Oct. 17, 9a.m. - 1p.m. and 2:30 - 6:30p.m. Tues., Oct. 18, 9a.m. - 1p.m. and 2:30 - 6:30p.m. Cancellation Policy for this Workshop: Please note there are no refunds available for cancelled or missed reservations.